The ESSWE has Full Members, Honorary Members, Student Members and Associate Members. Full Members of the Society must be engaged in scholarly work in the field of Western Esotericism and either be affiliated with a recognized university or be deemed suitable as full members by the Board on the basis of their scholarly qualities. Honorary Members of the Society must have been Full Members of the Society for at least fifteen years and have subsequently retired from active research, or be deemed suitable as Honorary Members by the Board because of their special qualities. Student Members of the Society must be registered as students at a recognized university (photocopy of student card required). 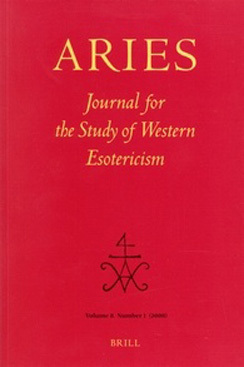 Associate Members of the Society must, in the opinion of the Board, be sufficiently involved in the study of Western Esotericism (please provide respective information in the box "Additional remarks" in the application form). 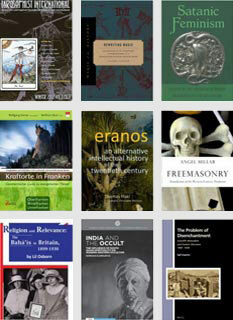 Members decide about the development of the Society, have full access to the ESSWE database, can announce their scholarly work to a wider public, receive discounts both on the Aries Journal and the Aries Book Series, and pay a reduced fee for ESSWE conferences. We invite all people who are interested in joining the Society to fill in the ESSWE Membership Application Form.